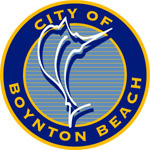 We have been doing business in the Boynton Beach area for the past four years. We specialize in creating modern websites at affordable prices for local businesses. We enjoy working out original solutions in order to present your business, or sell your products online in the most cost effective way possible. We will not push you to buy anything you don't need, we actually care about our customers and want you to recommend us, and maintain a relationship with us for all your web needs for years to come. If you're located in Boynton Beach, and are looking for a solid web design company, we also offer a 10% discount for all businesses in the Boynton Beach Area. We hope to work with you on your site soon, please send us a message and we'll be happy to discuss your site with you.